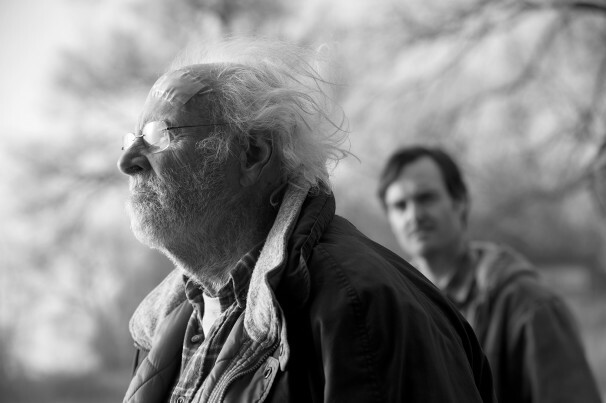 Nebraska is a film about aging, and it not only resonates with older people for whom aging is more of a concern, but as a young person I also felt like I could relate to it because it was very much about the children taking care of their parents and watching them age. While watching the film I started to think about my parents aging and how difficult it will be to witness that several years from now and it made me really sad. It must be very trying to see your parents unable to do things as they used to and unable to remember things that seem so subconscious. And then to think that this path only leads to death and the thought of not having your parents around anymore, ever, is absolutely heartbreaking. It is for me anyway because I am very close to my parents, but I suppose that not everyone is and so I can imagine that not everyone feels this way. Nebraska provides an interesting commentary on rural, lower to middle class America. The vast expanse of the American west is apparent and not necessarily in a good way. Let’s put it this way – if you ever think of your town as being the worst place on earth, think again because it could be worse. I think the black & white cinematography only reinforces this sentiment, but it is also beautiful at times. The movie is quite funny, especially Woody’s lack of awareness and indifference, and his wife, Kate, with her inappropriate wit and criticisms of all those around her. The lack of communication combined with the unwillingness of people to listen and understand each other also sets the stage for a comical series of misunderstandings. I appreciate the authentic feel of the film, as it seems that several of the characters are real people and not actors. This is something that is typical of low budget films, so it was surprising to see it in a big Hollywood movie, but also refreshing. David Grant, Woody’s son played by Will Forte who has mostly done comedy, plays a very serious role and is one of the only sympathetic characters. He is the only one that is supportive and caring for his father from the beginning. The film is funny, but underneath the banter it has a very serious tone and brings to light the difficulties of aging, not only for the aging, but also for the young who have to watch it occur.